Makurdi: SevHage Publishers, 2014, 273 pp. 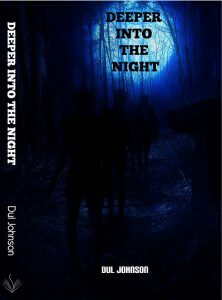 With two collections of short stories, a huge experience in the TV industry and a disturbing absence from the literary scene, Dul Johnson has burst onto the scene with two works: Deeper into the Night, a novel, and Melancholia, a play. Even a cursory reading of the two books is likely to convince one that the long wait is eventually rewarding. Although Deeper into the Night is a first novel, and Melancholia the first published drama of the author, there is nothing amateurish about them. What you see instead is the virtuosity and elegance of an old hand, which is what Johnson is, having been in the creative industry (TV drama and writing) for more than three decades. Deeper into the Night is a novel of bravery and courage on two levels. On the first level, the novel is about a brave and courageous community faced with external aggression that incredibly turns into internal aggression; on the second level, the implied message of Johnson in this novel cuts him out as someone brave and courageous enough to bluntly say what he thinks concerning the perennial inter-ethnic crisis in Nigeria, especially in Plateau State from where he hails. 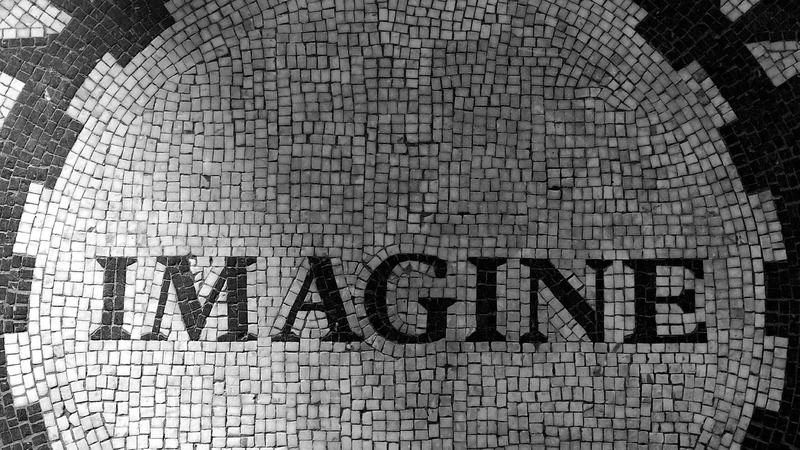 Gwantim is the name of the community (also the name of its founder) at the centre of the crisis of consciousness, identity and survival; a community likely to be seen as the main character of the novel. Mamzhi, the protagonist turned antagonist, whose chilling tale of heroism and villainy is tied to the fate of the community, is the son of Nimfa who in turn is the son of Old Gwantim, the founder of the community. Mamzhi is Old Gwantim’s first grandson. In his grandson, Old Gwantim sees a great man and therefore initiates the boy into the traditional cult of power. Old Gwantim dies leaving the community, much against his wish, to Nimfa who does not only impose himself as the community leader but is attracted to the Hausa/Fulani/Muslim’s leadership system. He courts the emir of Karara, a neighbouring Hausa/Fulani/Muslim community, gets himself a chieftaincy title, and learns to dress like the emir, wearing “mosquito net and big gowns” (64). Nimfa’s romance with the emir of Karara is symbolic of the cultural contact/clash between the Hausa/Fulani people who have migrated to Tarokland and the Tarok people of Plateau State. At the same time, Taktim, a community next to Gwantim, is having an important visitor: Alhaji Maiguguwa Nisa who claims to be sent by the emir of Karara. He has come to the community to stay, to lead his Muslim brothers, to do business. Alhaji Nisa “arrived with his four wives, many children and all his property, all at once and at sunset” (33). Clever and cunning, Alhaji Nisa seems to outwit the entire community; he settles down and, having imposed himself as a religious leader, begins a systematic acquisition of property. His wealth and influence grow in leaps and bounds. Tyem Zhimak, founding father of Taktim, decisively confronts Alhaji Nisa. The argument between the two, the author succeeds in showing, dramatises the age-long tension between those who see themselves as “natives” of the land and “strangers” who at first harmlessly come, are welcomed, and then turn themselves to greedy colonisers. Tyem Zhimak puts the issue clearly before his opponent: “You do not come from here; you came from Karara, unless you lied to me. I gave you land to live on, now you take my land, and my farm” (49). To resist what they clearly see as an intrusion, an imperial control, plus an actual attack from the powerful Hausa/Fulani/Muslim emirate, the Tarok communities of Gwantim and Taktim join efforts in displaying a rare feat of warfare. Mamzhi is the dreaded warlord that leads the community to victory. Earlier Mamzhi had gone to the city of Jos during which a religious crisis broke out. He got enlisted to fight under the command of the fierce Nigeria civil war veteran Ogenevwo Ogrewevwo. Now home, Mamzhi’s source of power lies in the war tactics he learnt in the city and the spiritual power bestowed on him by his late grandfather. The crucial, rather melodramatic, turn of the novel is Mamzhi, a hero beloved of the Tarok communities, becoming so powerful and bloodthirsty that he becomes a monster among his own people. He begins by forming a group of young men who will protect the communities from further attacks. He and his group gradually turn themselves into terror, killing even group members who disobey him. They kill Iliya for being sexually involved with Jolene whom Mamzhi sees as his girlfriend. Elders of Gwantim who question Mamzhi’s power are not spared. At this point the community realises that it has an urgent issue to tackle: doing away with Mamzhi the monster it has created. Nanzing, called the Strange One because of his spiritual prowess, leads the project of disarming Mamzhi. The process involves neutralizing Mamzhi’s power located in his hair with substance from a woman’s genitalia. Jolene’s effort in this regards fails. Mamfa, powerful as Mamzhi, and his team are deployed, but they also fail. Eventually, Nanzing himself, at the cost of his life, disarms Mamzhi. Deeper into the Night is thought-provoking on different fronts. Some will find its view on native-settler tension controversial, given its implicit but no less provocative satire on the folkways and religion of the Hausa/Fulani settlers. A critical question here is whether in telling his or his Tarok people’s story, as Chimamanda Ngozi Adichie does in Half of a Yellow Sun, should other people’s stories necessarily get marginalised, mis-told? Are all settlers greedy grabbers? While Johnson’s characterisation of the Hausa/Fulani/Muslim settlers raise such questions, it is gratifying that he humanises Ali, Alhaji Nisa’s son, portrayed as ideologically different from his father. The novel is equally, and in fact more openly, satirical of Christianity. Tyem Zhimak satirises and trivialises the Christian concept of three-in-one God in an argument with his son Iliya. The novel’s impressive message, though, is that violence comes in many forms, linked and interpenetrative. So that in tackling one form of violence another form is likely to be created. Building one form of violence to confront another one might, as Deeper into the Night clearly shows, be counter-productive. This message reverberates throughout an aesthetic of intricate plotting, effortless narration, bitter humour, and traditionalism in the novel. Well done sir. 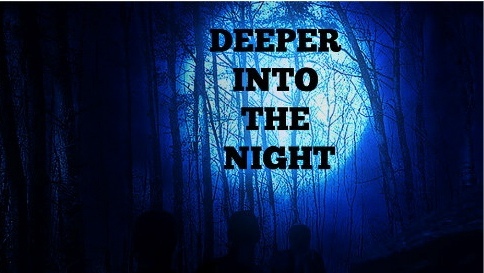 “Deeper into the Night’ is also full of humour and surprise. One thing I can also relate to is how the supposed solution to the people’s problems, Mamzhi also becomes a problem to them. In seeking a savior, the savior becomea a cruel oppressor. Mamzhi is like many soldiers who are aent on peace keeping missions and become great terrors to people because of the power the hold in their hands. Deeper into the Night is very apt for the Nigerian politico-economic and religious situation. The use of prose to very clearly demonstrate the use and abuse of power confirms the role of the writer as the moral compass of the society in which he finds himself or herself. Wonderful review. Sir, you tortured my psyche until I was left with no emotions. Is it worth it? A typical example of the misuse of power, and a society devoid of Trust. How can you criticize the theme of this novel if you are asked to?